Registration data and other personally identifiable information that the site may collect is subject to all applicable United States federal and state laws and standard practices relating to the collection and use of personal and other information from users of or visitors to this website. You are responsible for maintaining the confidentiality of your password. You will be responsible for all usage of your user account and/or user name, whether authorized or not authorized by you. You agree to immediately notify the site editor of any unauthorized use of your user account, user name or password. You agree that all information or data of any kind, whether text, software, code, music or sound, photographs or graphics, video or other materials ("content"), made available publicly or privately, will be under the sole responsibility of the person providing the said content, or of the person whose user account is used. The site editor will not be responsible to you in any way for content displayed on this web site, nor for any error or omission. (f) You will not use this website to harvest/collect information, private or public, on children listed for the purpose of family-finding. Listings are protected and information obtained from listings may not be re-posted through email, discussion groups, postal mail, newsletter or any other form of conveying information to others. (a) you warrant and represent that you have all legal, moral, and other rights that may be necessary to use the content provided. (b) you acknowledge and agree that the site editor will have the right (but not obligation), at the site editor's entire discretion, to refuse to publish, or to remove, or to block access to any content you provide, at any time and for any reason, with or without notice. 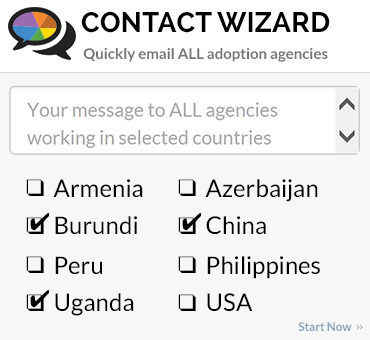 Goods and services of third parties may be advertised and/or may be made available on or through this web site, including but not limited to adoption programs, adoption agencies, lawyers and services. Representations made regarding products and services provided by third parties will be governed by the policies and representations made by these third parties. The site editor will not in any manner be liable for or responsible for any of your dealings or interaction with third parties. 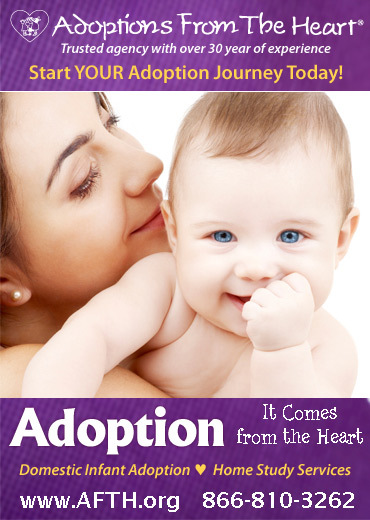 Information regarding children that are eligible for adoption has been provided by adoption agencies and other adoption-related service professionals. 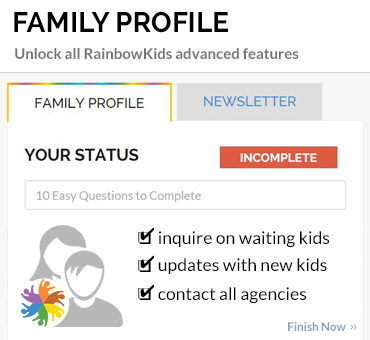 The website, RainbowKids.com, does not perform any independent investigations to determine the completeness, truthfulness or accuracy of such information. 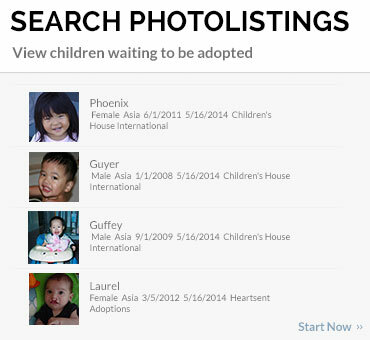 RainbowKids.com DOES NOT REPRESENT OR ENDORSE THE ACCURACY OR RELIABILITY OF ANY ADVICE, OPINION, STATEMENT, OR OTHER INFORMATION DISPLAYED OR DISTRIBUTED THROUGH THIS WEBSITE. YOU ACKNOWLEDGE THAT ANY RELIANCE UPON SUCH OPINION, STATEMENT, ADVICE, CHILD REPRESENTATION, MEMORANDUM OR INFORMATION SHALL BE AT YOUR SOLE RISK. 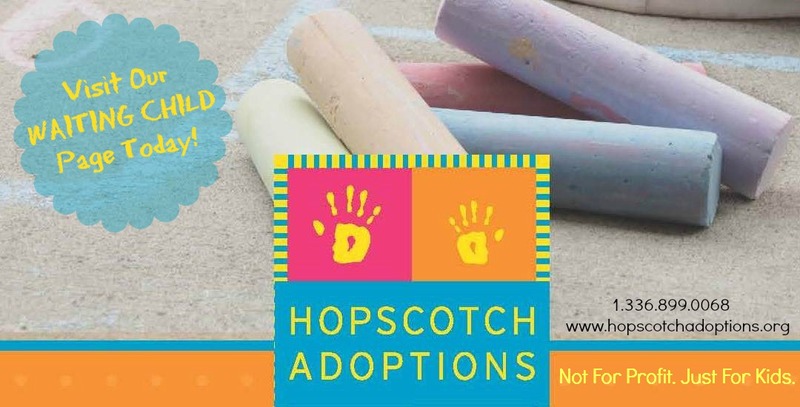 RainbowKids.com does not and cannot review all materials and information posted to the website by members, users and visitors, advertisers, agencies, child representatives, charities and/or volunteers. RainbowKids.com and its editors are not responsible for any such materials and information. You agree that you and the website owners, employees, and advertisers are independent contractors, and no employee-employer, partnership, agency, joint venture or franchiser-franchisee relationship is created, or is intended to be created, by the Terms.